Miles is a 34cm (13.5") plush panda style bear. 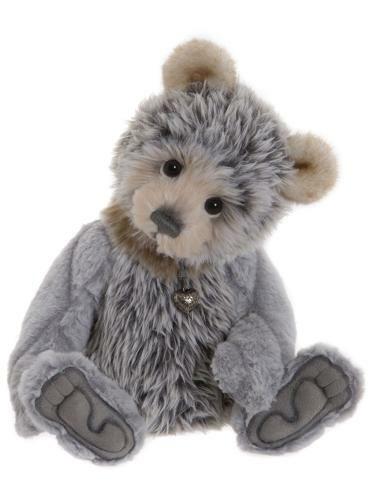 He is a mix of light and dark grey with some cream plush with longer plush on his body and head and shorted plush on his arms, legs and ears. He wears a heart shaped pendant round his neck.